The new face of Youtube? Yesterday, YouTube announced that it now provides a tool allowing users to blur people’s faces in videos uploaded to the site. This new tool, as “a first step towards providing visual anonymity for video on YouTube,” is a response to the desire by individuals to have privacy while still participating in public forums, a desire which raises important legal issues for sites such as YouTube, Facebook, and Twitter. First, a user must upload a video onto YouTube then select the tool “Blur All Faces” to create a new video that obscures what faces the technology can recognize. The user must then delete the original video. Once the original “unblurred” version is deleted, the video is permanently gone from Google’s servers. In an update, YouTube’s Jessica Mason explained that YouTube would be unable to provide the original video to law enforcement once it is deleted. However, in the situation where a user does not delete the original video, YouTube would supply the video to a government with a valid court order or subpoena. The importance of having only the blurred videos on YouTube for subpoenas is highlighted by the Twitter case People v. Harris, No. 2011NY080152 (N.Y. Crim. Ct. 2012). In this case, the court entered an order requiring Twitter Inc. to produce information and tweets from the account of an Occupy Wall Street protester. The court reaffirmed that Twitter users do not have standing to challenge a disclosure request involving the information they put on Twitter. To explain, the court analogized tweeting to shouting out the window in front of witnesses on the street, with Twitter being the analogies witness. The court stressed that “[t]here can be no reasonable expectation of privacy in a tweet sent around the world.” This lack of an expectation of privacy could also be applied to YouTube videos that are posted for the world to watch. Along with subpoena issues, the creation of this new tool on YouTube is important for protecting the identity of activists using social media. Governments in some countries, including Syria, have been using videos of protests to identify and jail dissidents. While helpful for activists, there is the potential side effect that individuals may use face blurring to hide their identities when they post videos of purely illegal or violent conduct. In the past, law enforcement in the United States has used YouTube videos to arrest suspects when they post illegal action, such as group beatings. YouTube asserts its Community Guidelines prohibit this content, but if posted, law enforcement will no longer have faces to identify suspects. 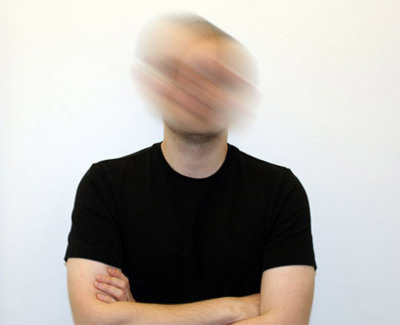 While increasing anonymity, controversial facial recognition technology is used to provide YouTube’s face blurring tool. YouTube utilizes an algorithm to scan a video and detects facial features like eyes. Similar facial recognition technology implemented by Facebook has come under recent attack in a hearing by the Senate Judiciary Committee’s Subcommittee on Privacy, Technology and the Law. In this hearing, Sen. Al Franken, D-Minn., said he was concerned that facial recognition technology could be used by law enforcement to identify peaceful protesters at rallies and target them for selective jailing and prosecution. These fears revolve around the fact that there are currently no federal laws regulating how law enforcement should use facial recognition technology. Washington State, however, does limit the collection of biometric data, a step that other states are likely to follow. As the use of face recognition and other biometric technology becomes more prevalent and more accurate, the need for anonymity on the internet, and the legal battles surrounding it, will most likely increase.